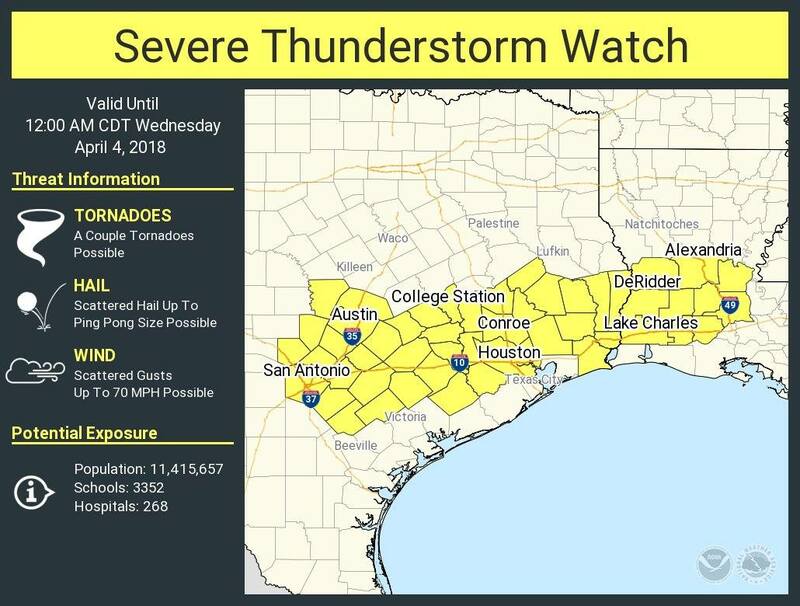 Spring, Texas – April 3rd, 2018: A Severe Thunderstorm Watch is in effect for numerous counties in the Houston Metroplex, including Harris & Montgomery County. According to the National Weather Service, primary threats include severe winds up to 70 mph, large hail, frequent lightning, and heavy downpours. Additional rainfall of 0.5-1.5″ is possible, with isolated amounts up to 2-3″. We are tracking the storms and will bring you updates as they become available.